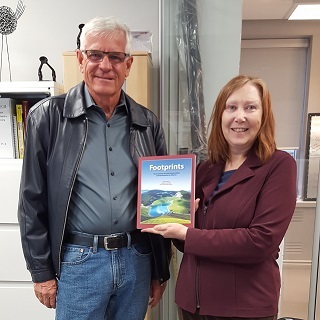 The Canadian Land Reclamation Association (CLRA) has completed its publication Footprints: The Evolution of Land Conservation and Reclamation in Alberta. The book was officially launched at the CLRA Alberta Chapter AGM in February, and is available for download from the Alberta Centre for Reclamation and Restoration Ecology's website here . As a financial contributor, the ASGA was personally delivered a copy of the book by the Project Co-Chair, Fred Schulte. One mile of a 6-lane highway needs 133,500 tonnes of aggregate.